It can deliver an impressive 4400 percent return on investment (ROI), has an average global open rate of 23.67 percent, click-through rate of 3.83 percent, and it’s 40 times better at acquisition than Facebook and Twitter combined. And those are just some of the greatest hits. So, it’s a slam dunk, right? Not so fast. Email is not perfect. There’s one issue that can send the whole thing crashing down faster than a house of cards in a windstorm. You can draft a flawless message with a compelling email subject line, glorious visuals, and a call-to-action (CTA) that compels people to click, do, download, or agree. But, it all hinges on that email making it into someone’s inbox, not their junk folder. Spam makes up 45 percent of all email. Other research pegs it at 48.16 percent as of March 2018, while other data has it accounting for 85.37 percent. Either way, it’s a huge problem. At the time of writing, the U.S. is home to six of the top 10 worst spammers. It goes without saying that enterprises like Google and third-party developers of blockers and filters are working overtime to combat the issue. Unfortunately, that means a legitimate email will sometimes get misidentified as spam. 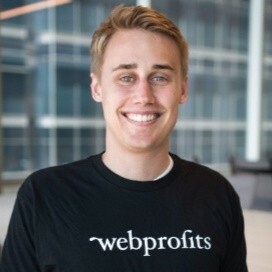 TIP: The right email automation platform can help your deliverability rates. Learn about the best email marketing software in 2019 from real marketers. Your deliverability rate measures how successful you are at getting your message into a recipient’s inbox, and not their junk folder or blocked. Your email deliverability is actually more important than your email message. If you believe a sent email that doesn’t bounce back has been successfully delivered, you’re wrong. 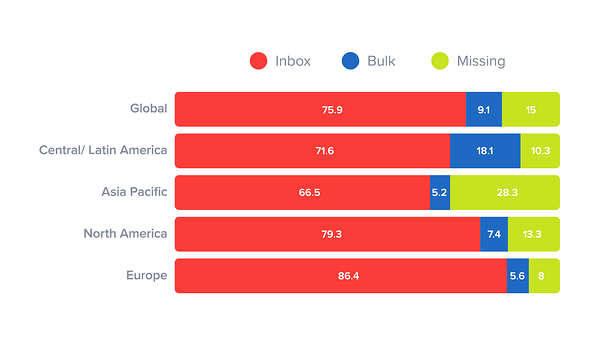 The global deliverability average is 75.9 percent, which means that nearly 25 percent of emails don’t make it. What if it’s your email? That’s a bad thing. Here are 12 things you can do to maximize the deliverability of your email outreach. You know those emails you get immediately after signing up or subscribing to something asking you to confirm? That’s the double opt-in at work. Confirmation emails generates very high open and click rates – they're expected emails. 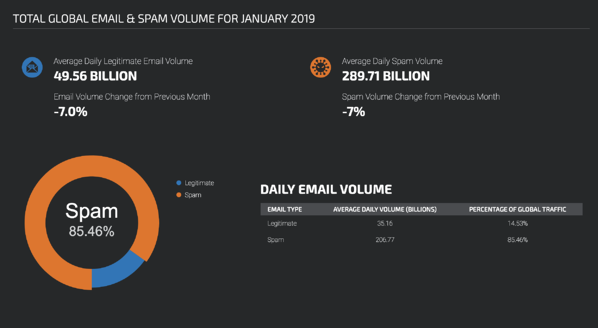 More importantly, they establishes a pattern of engagement between you and your recipients, which makes the spam filters and email providers look upon you more favorably. This one is deceptively simple: Ask recipients to add you to their trusted or white list in your opt-in message. Ask and ye shall (usually) receive. Every unsuccessful email you send from a particular address works against you. Bounces, complaints, and un-subs all paint a bleak picture of your practices with internet service providers (ISPs) and filters. To combat that, periodically scrub your email list. There’s a direct correlation between your sender score and the number of emails you send versus how many get delivered. Bounces and the like make you look like a spammer, even if you’re not. Use an email verifying tool to verify each email on your list. Keep the verified emails, toss the rest. What’s your reputation as a sender? Monitor and manage your sender score (out of 100). If it’s low, take active steps – like the ones here – to drag it up. You can also try a deliverability test with a dedicated tool. Send your newest prospecting, nurturing, or retention email to its address, and get a detailed assessment of your message, authentication, reputation, broken links, and inclusion on blacklists, if any. Your sender score and deliverability test can show you exactly what’s helping and what’s hurting you. File this one under common sense, but many of us lose sight of that from time to time. Use your real name in the from field (unless your brand has name recognition) and a genuine (i.e. not misleading) subject line. Contextualizing your emails and making sure that you provide value is key to getting engagement. A sender policy framework (SPF) protects you from spoofing attacks where spammers gain access to your account and use it to send out unauthorized messages. Needless to say, that can have serious consequences for you, your brand, and your reputation. An SPF is a simple text file that lists the servers you trust to send out emails from your domain. Anything coming from a server not on that list will be blocked, filtered, and/or marked as spam. Combined with a DomainKeys Identified Mail (DKIM), your SPF can boost your deliverability rate and trustworthiness. Check your email service provider for platform-specific steps on getting them in place. When you’re just starting out in email marketing, there’s not much info available on you. In that case, some ISPs and filters may be wary of messages coming from you. So, send a few messages to engaged recipients – individuals you know will accept, open, and click your message. A few delivered and opened emails, and you begin to build trust for your IP with internet service providers. Small and smart wins the race. You need a simple ‘Unsubscribe’ link at the bottom of every message for every list. Period. Otherwise, recipients may get frustrated and mark you as spam. Blockers and filters look for red flags like using all-caps, spelling mistakes, certain keywords and phrases, too many emojis, link to text ratio (too many links with not enough text), image to text ratio, and so on. Don’t use them. Spam traps are email addresses set up to catch spammers. Send to one, and you go on a blacklist immediately. To avoid them, don’t buy lists. Only write to engaged addresses with a double opt-in, and scrub your database frequently. It’s possible to fall victim to a spam trap even if you do everything right, but, more often than not, you acquired the address via shady tactics. Don’t. Email service providers like Pinpointe and Mailshake are well-respected and provide tips, tricks, and tools to stay on the right side of the email police. Templates galore, native analytics and reports, triggered emails, autoresponders, list segmentation, and an established reputation with the inbox gatekeepers means more powerful use of an already powerful channel. This should be part of the equation already, and it goes without saying that increasing your open rates and response rates will boost your reputation and deliverability. So, track, monitor, and manage. The blockers are designed to stop spammers, not you. Follow the tips here, keep your messages useful and relevant, and you shouldn’t run afoul of the ISPs. Increase your deliverability, hone your cold email outreach game, and watch your email marketing deliver. Ready to learn more about becoming the best email marketer? Learn all the best practices to making the perfect email newsletter in 2019. Mark is a marketing specialists for Mailshake, a cold email software solution for sales and marketing teams.